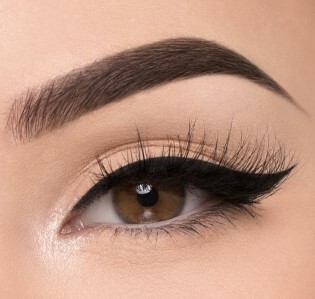 Full, perfectly shaped, harmonious eyebrows make the face look younger and more attractive. But because of age, thyroid problems or simply over-plucking, brows can become thin, patchy, short and asymmetrical. 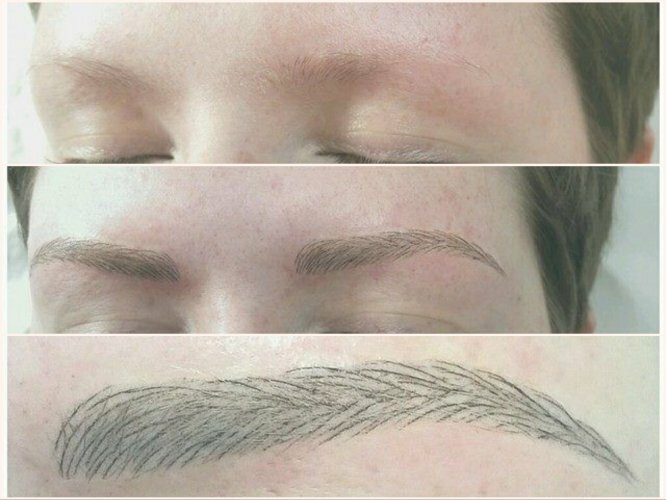 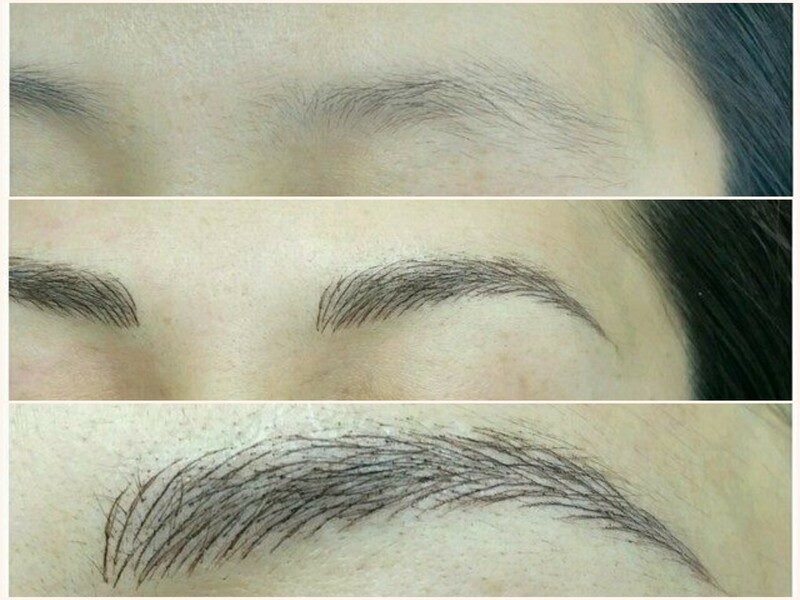 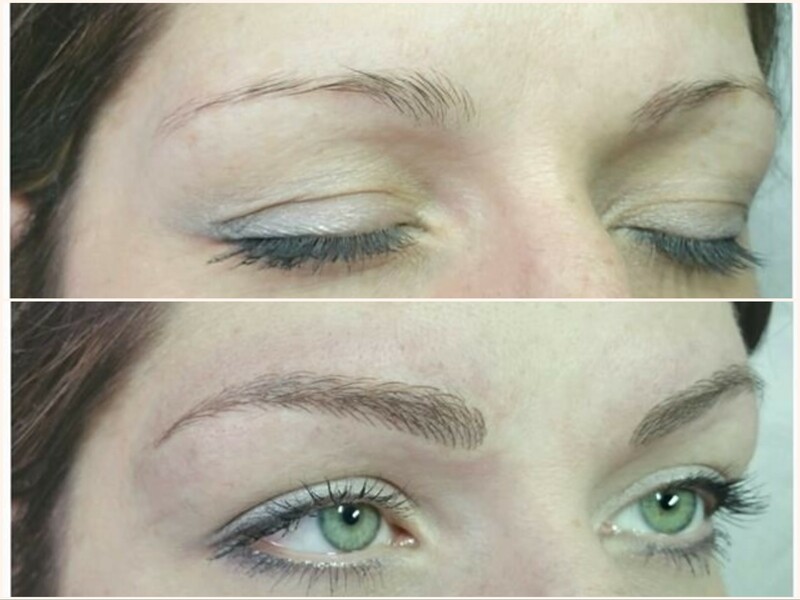 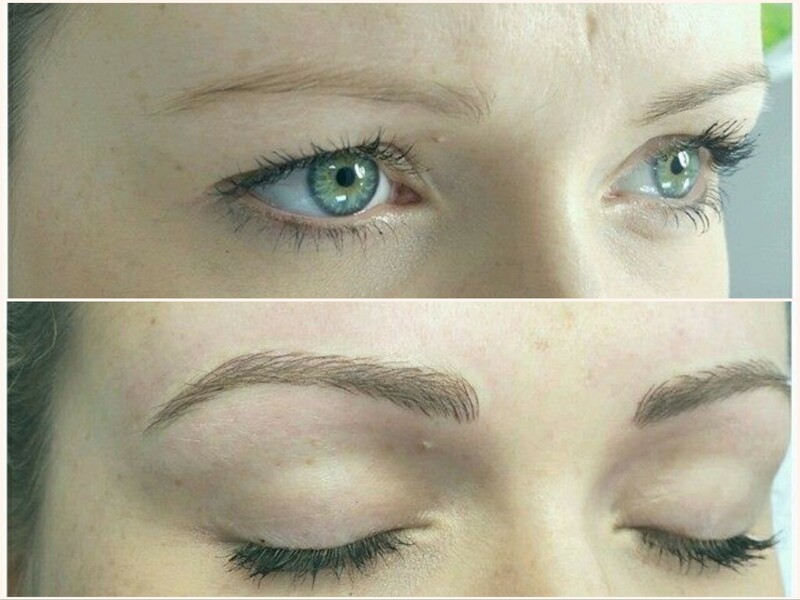 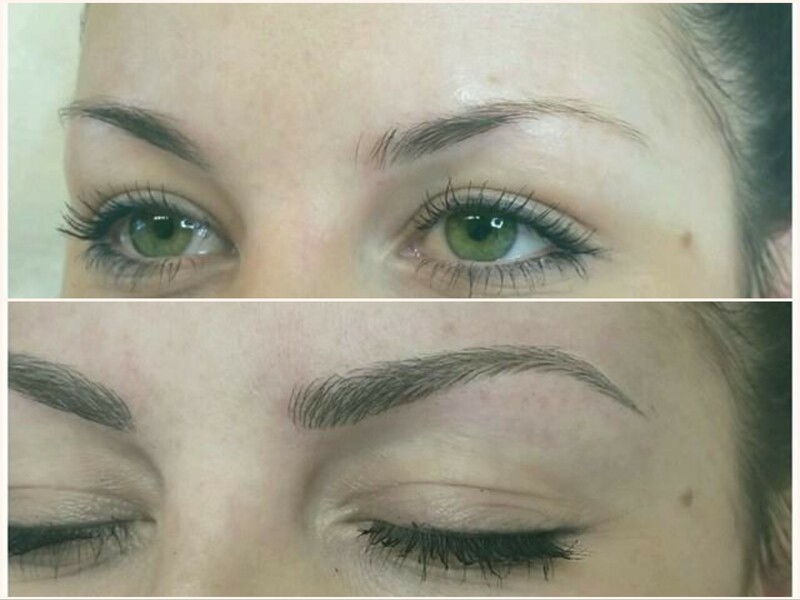 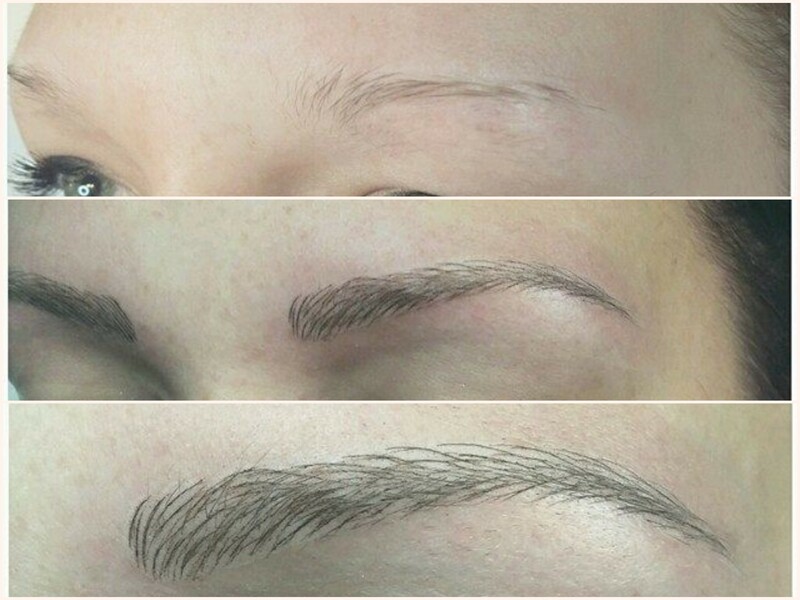 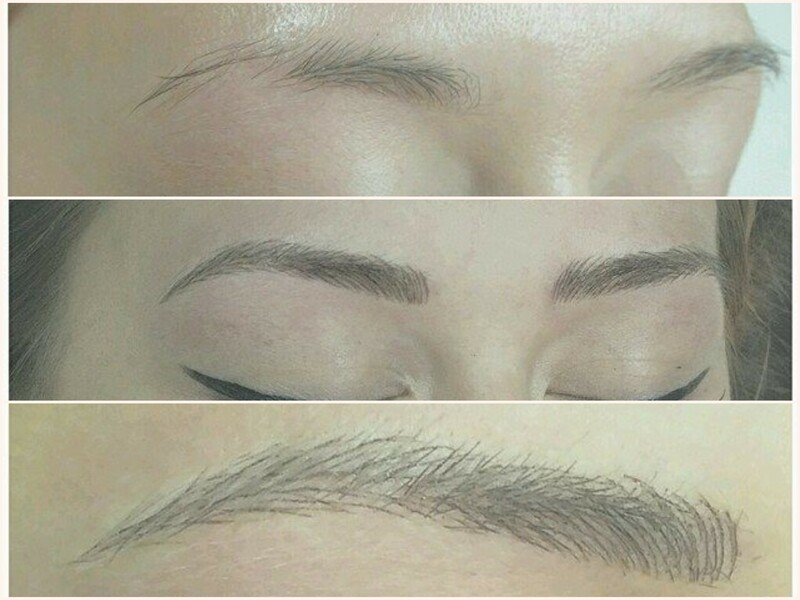 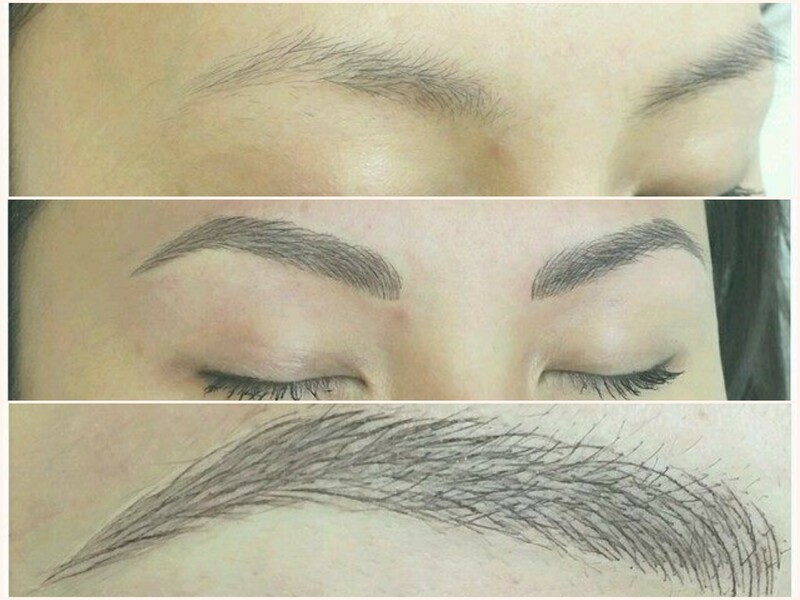 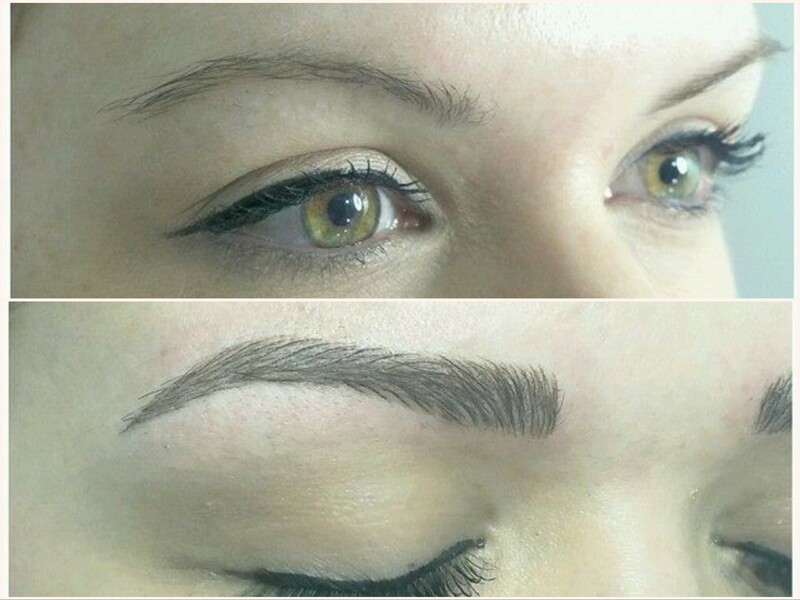 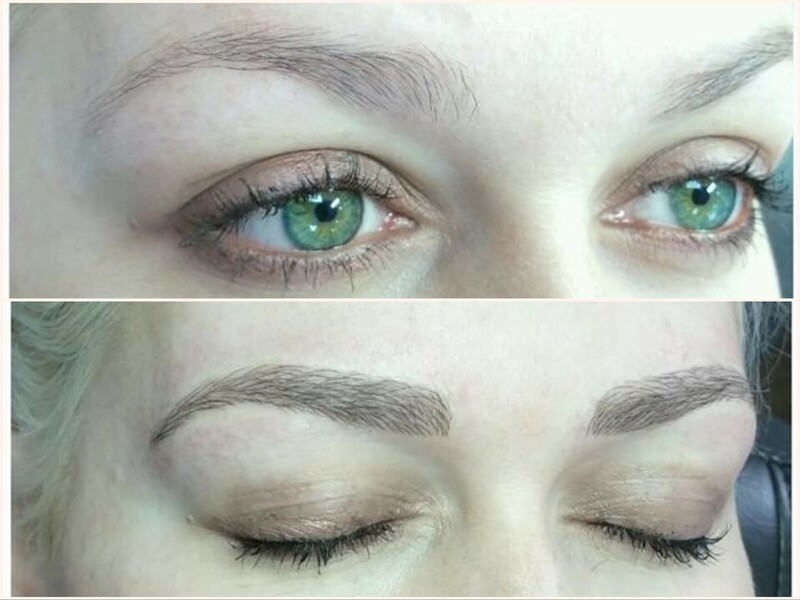 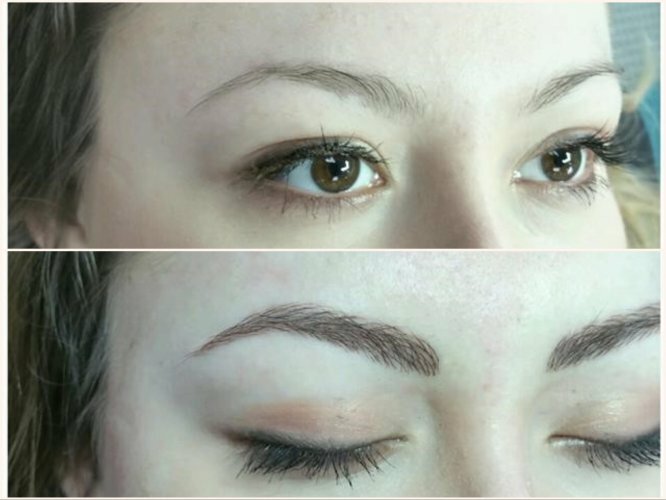 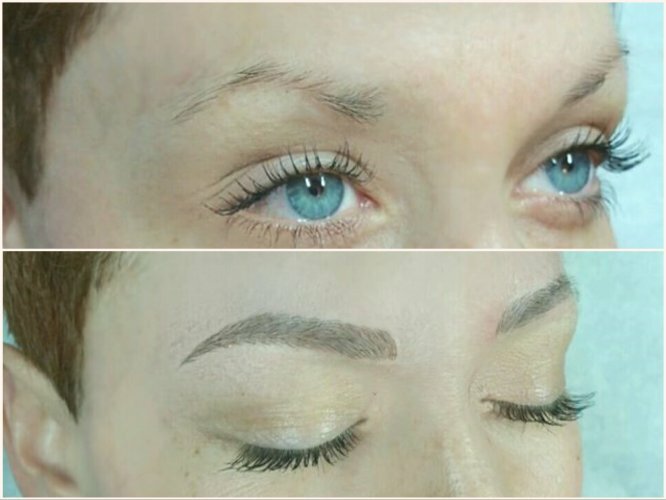 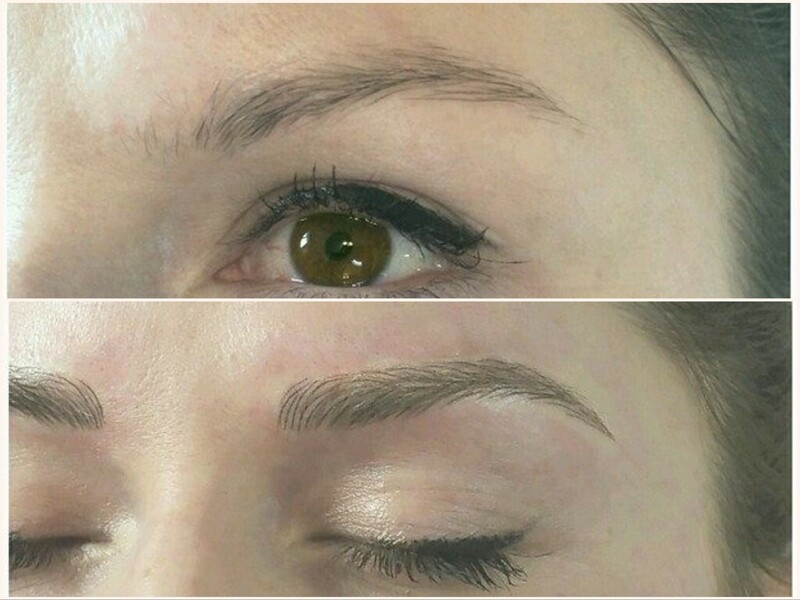 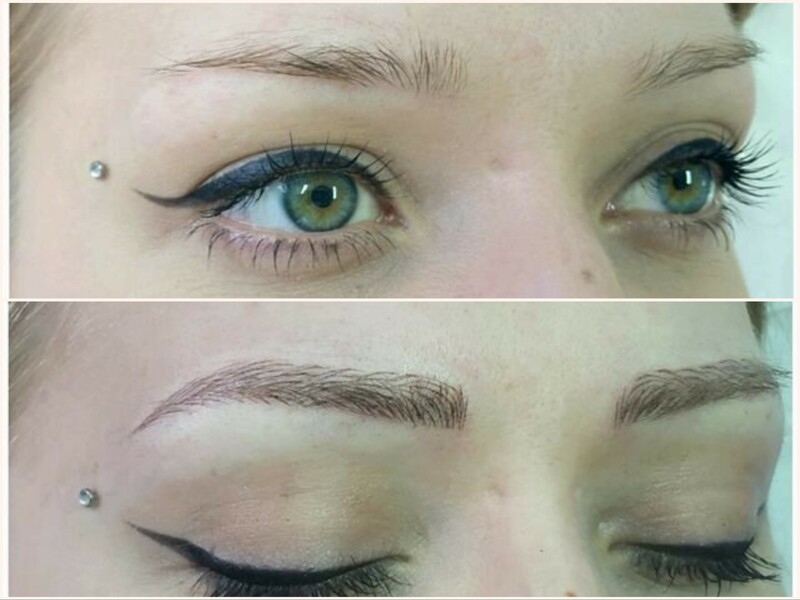 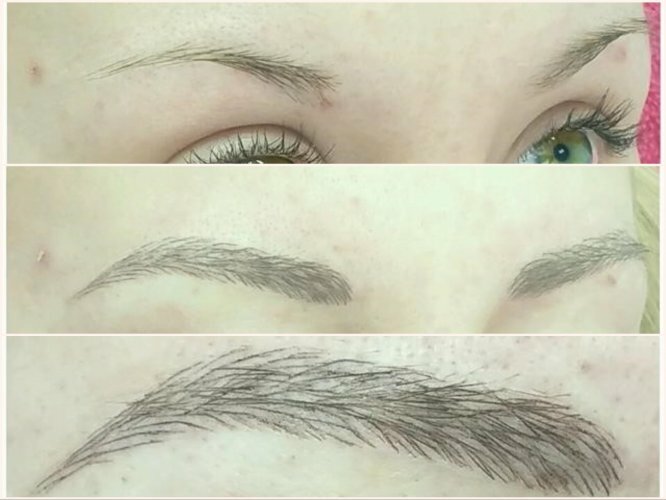 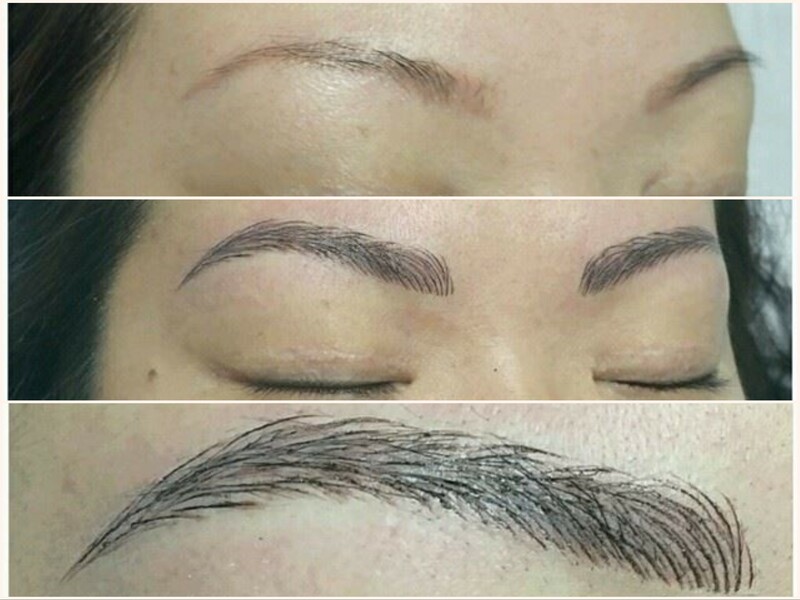 Our technician can subtly enhance your eyebrows, or give you brows that are entirely new. 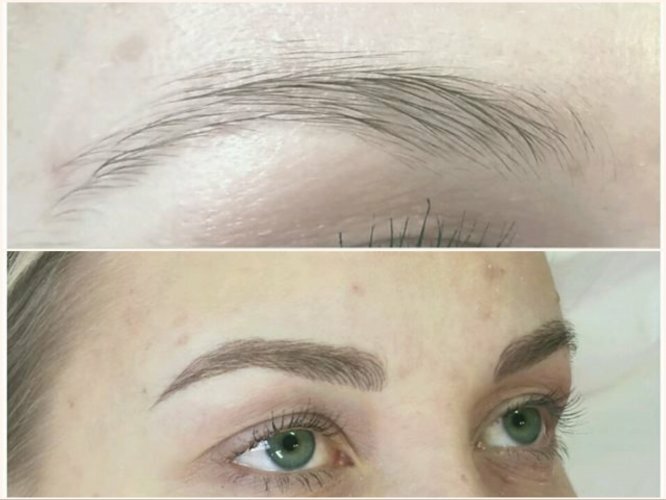 Microbladed or semi permanent makeup eyebrows that frame your face and enhance your features to save time and always have the natural look you love. 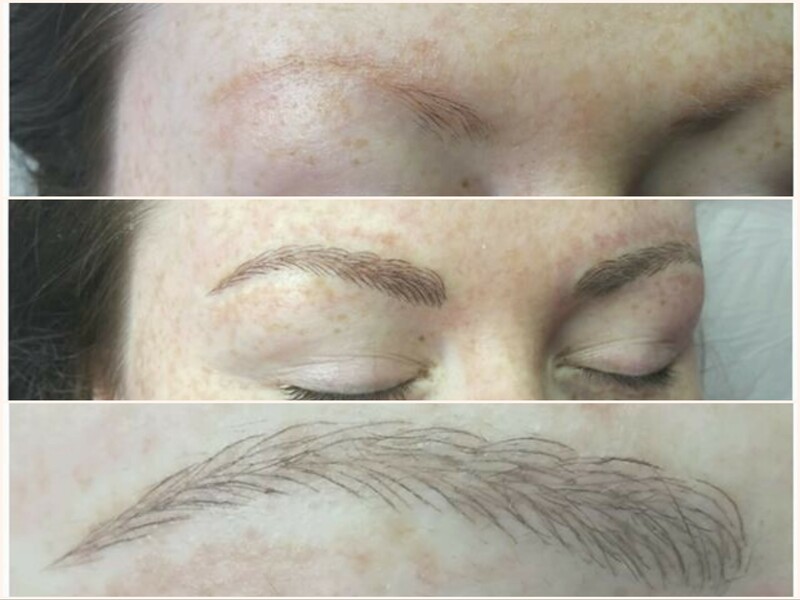 Both microblading and semipermanent makeup brow treatments are a safe and natural-looking alternative to the expense and daily routine of applying makeup upon waking in the morning and often times throughout the day. Each technique has it’s own advantages and during your consultation the technician will help you decide which is best for you. 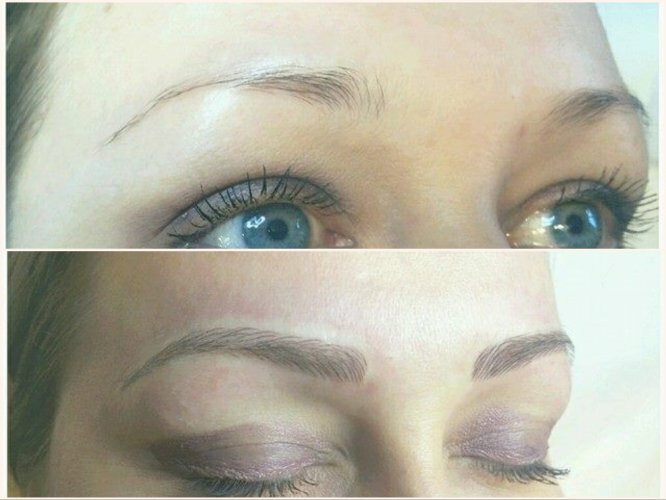 Properly applied by an experienced technician, both treatments are safe and will be beautiful and natural in appearance. Microblading involves using a manual tool to hold a small, sharp instrument called a microblade, to deposit pigment into the skin. 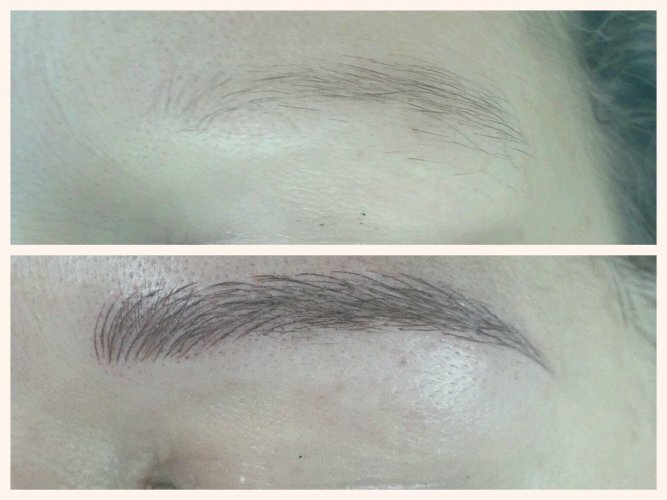 The blade scratches the skin and pigment is left on the brow for several minutes. Once the pigment is wiped away, thin, natural looking hairstrokes are visible on the skin. 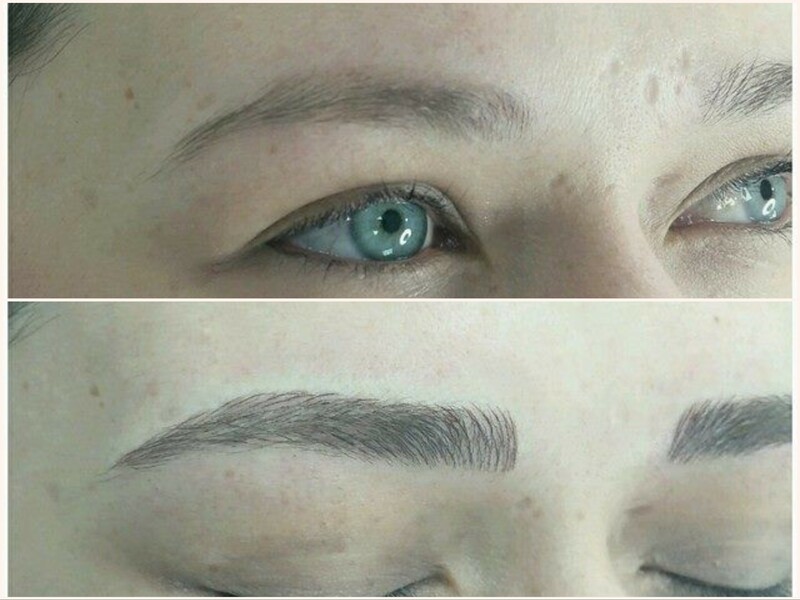 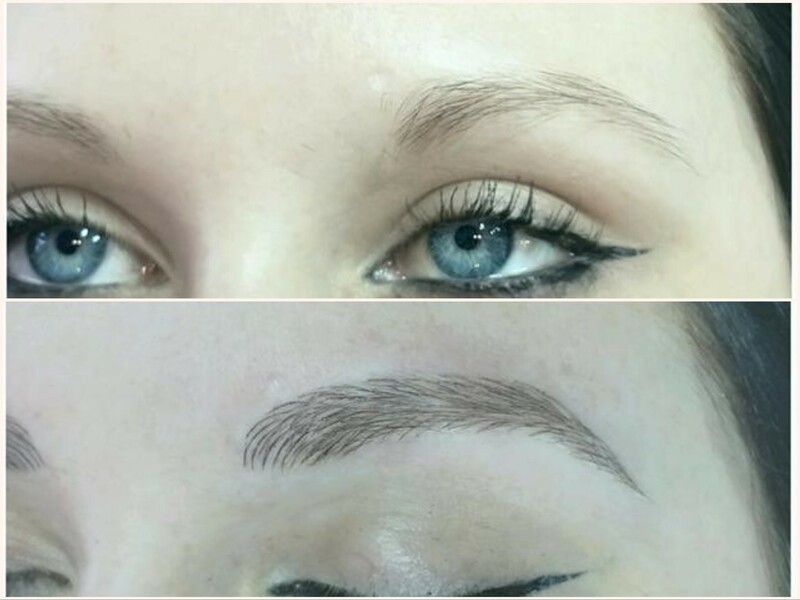 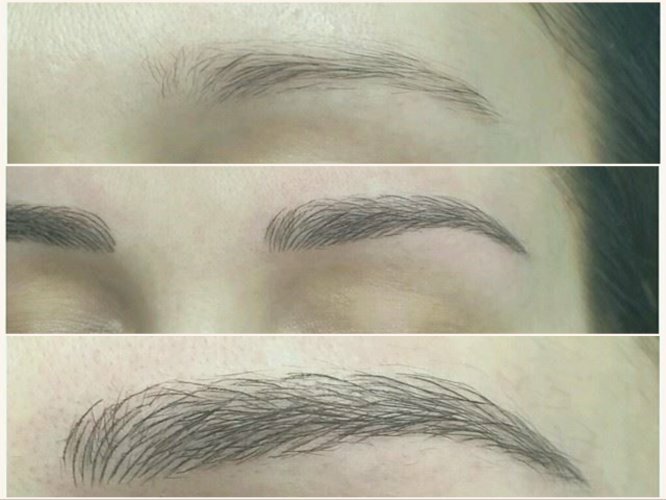 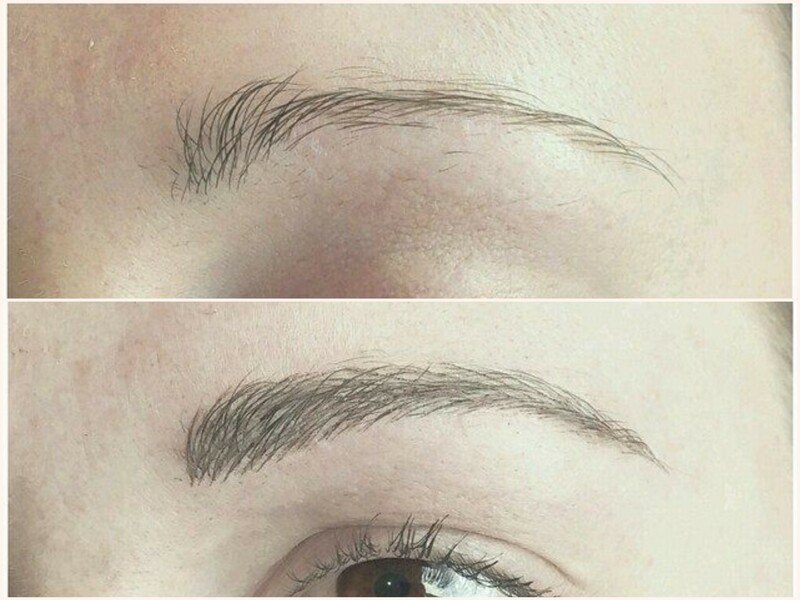 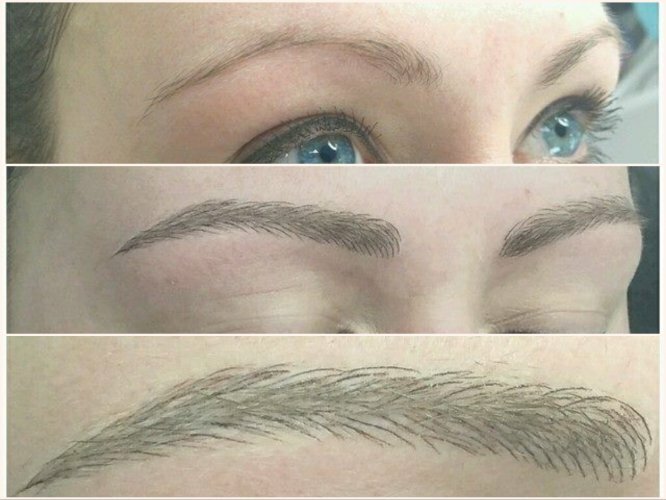 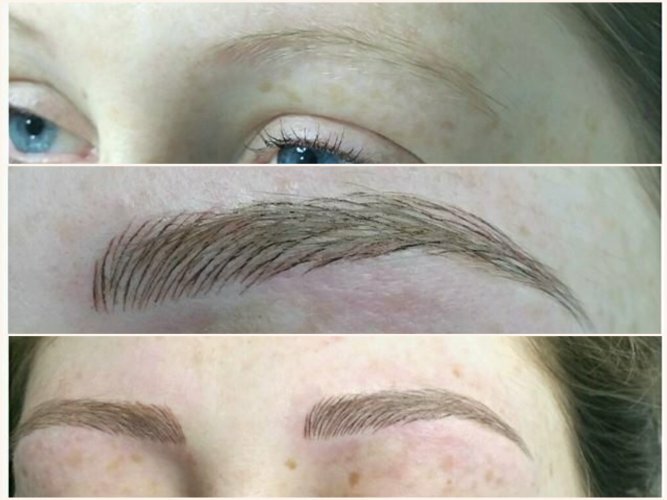 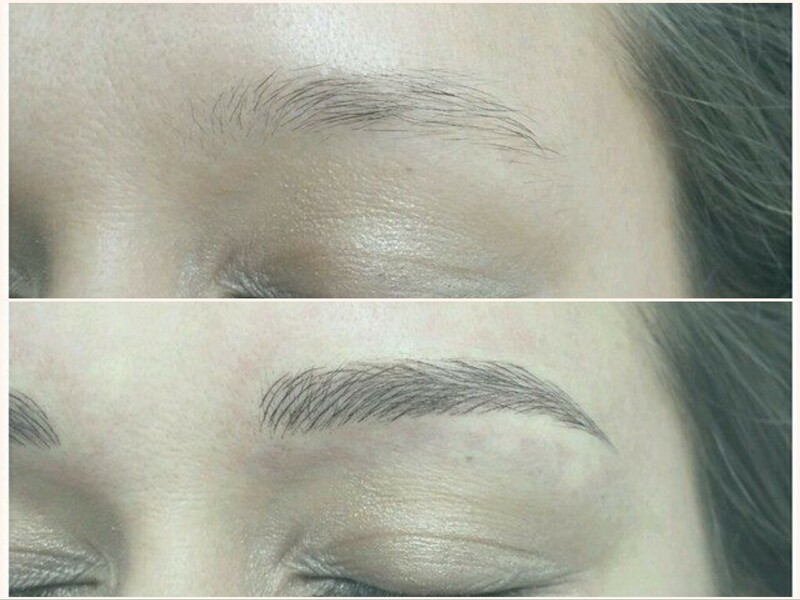 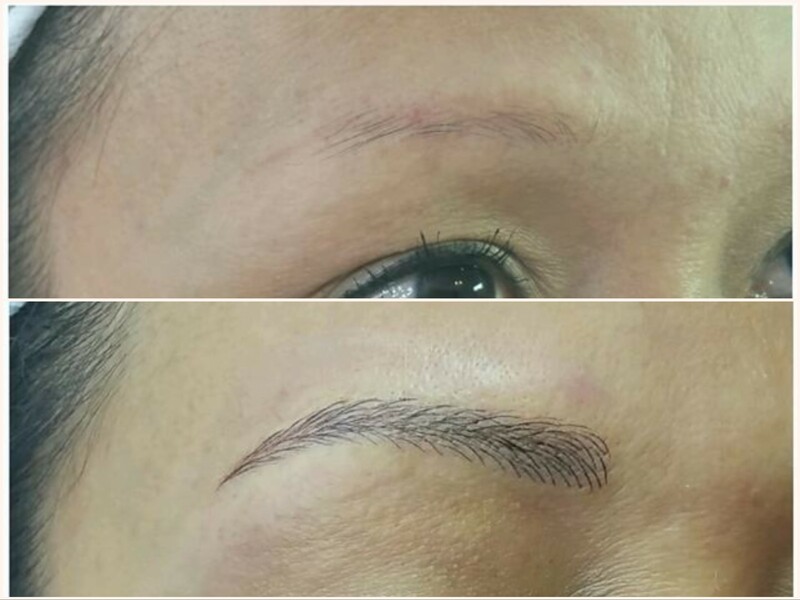 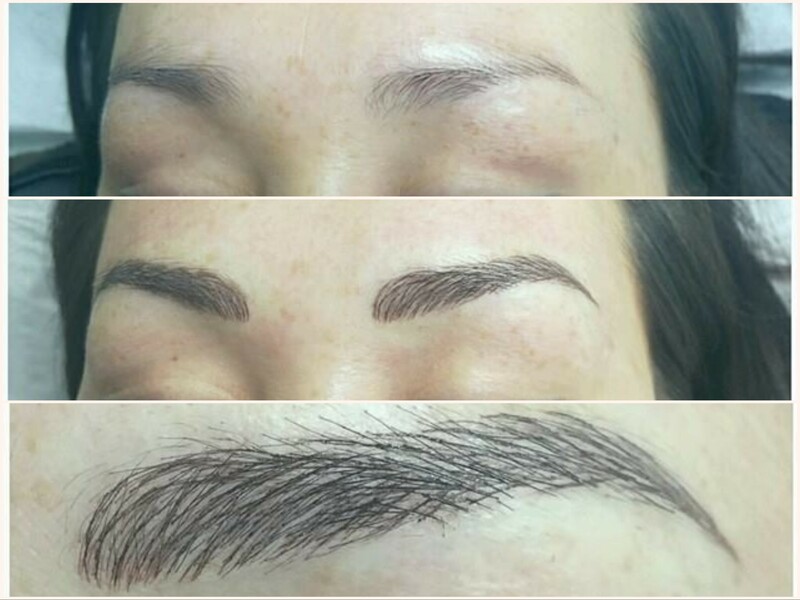 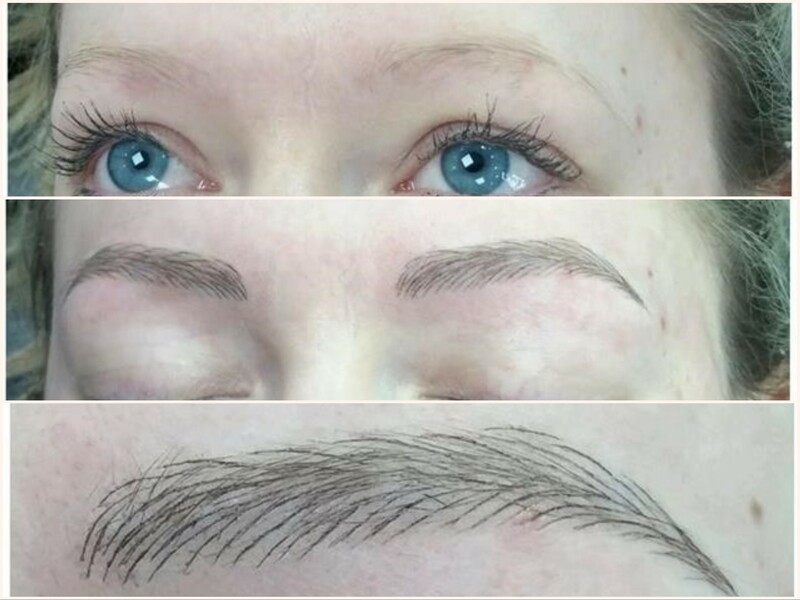 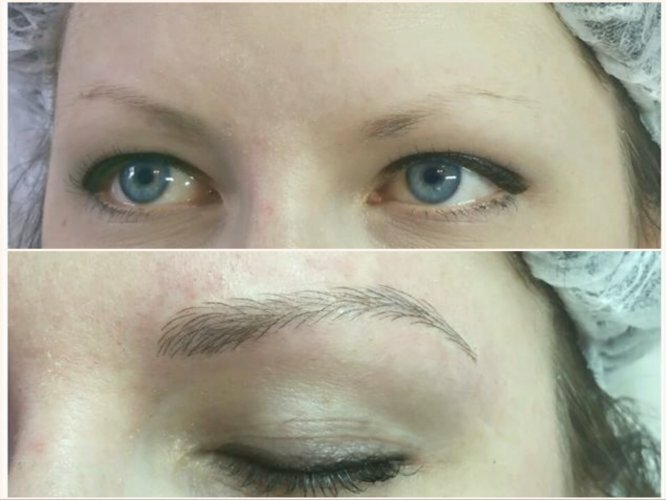 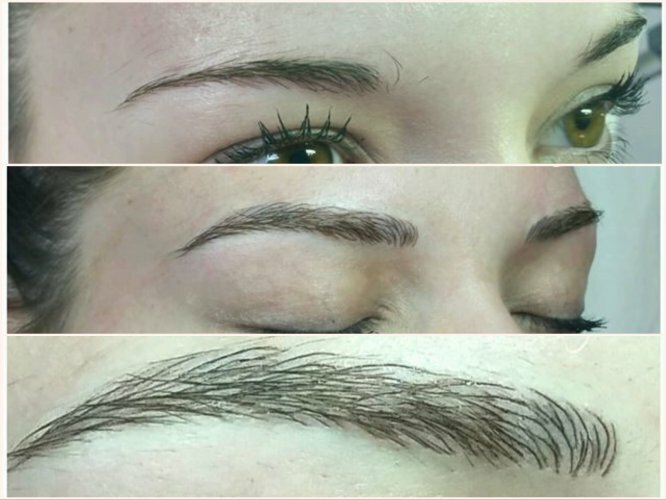 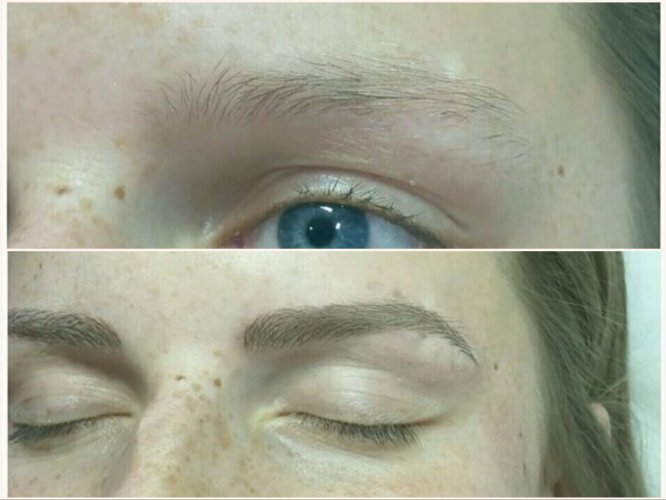 Unlike microblading, semi permanent makeup brows are done with a digital machine that uses a disposable needle cartridge to introduce quality semipermanent pigments to the skin. 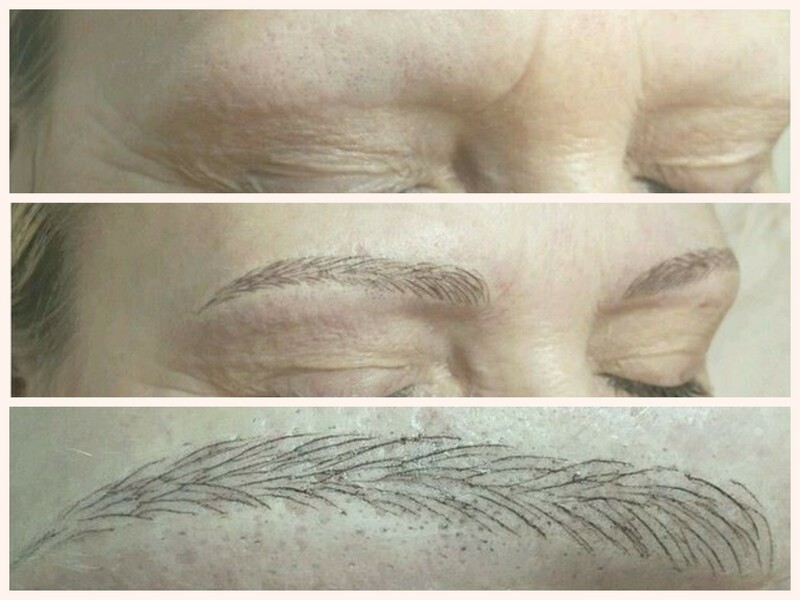 The machine is used to create perfect crisp hair strokes. Your treatment will begin with a consultation in our clinic discussing the shape and the colour of your preference to ensure a first class result! 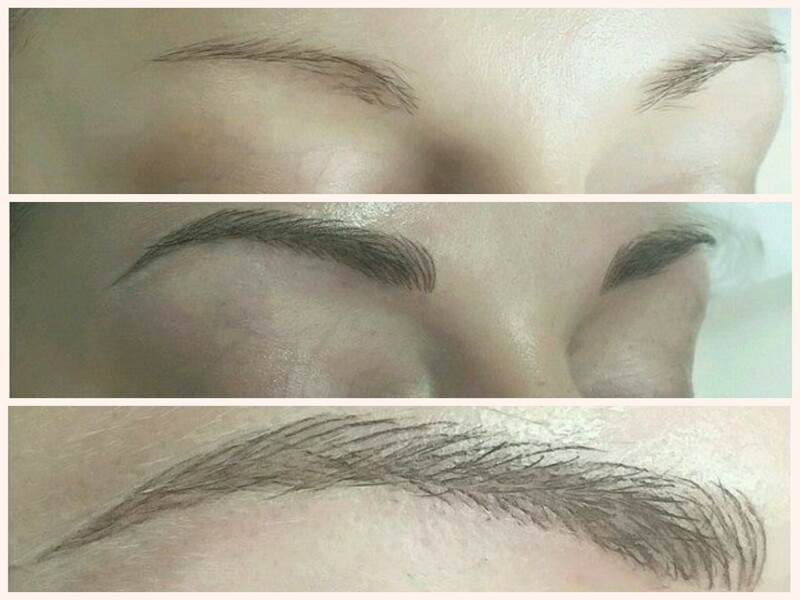 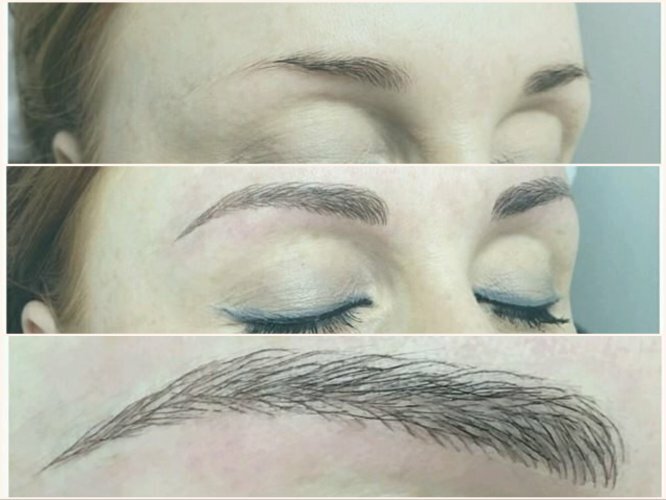 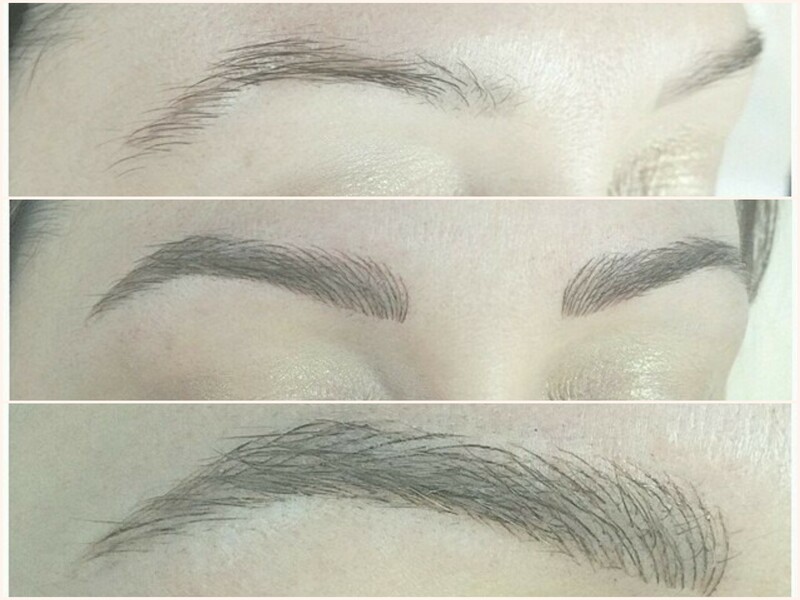 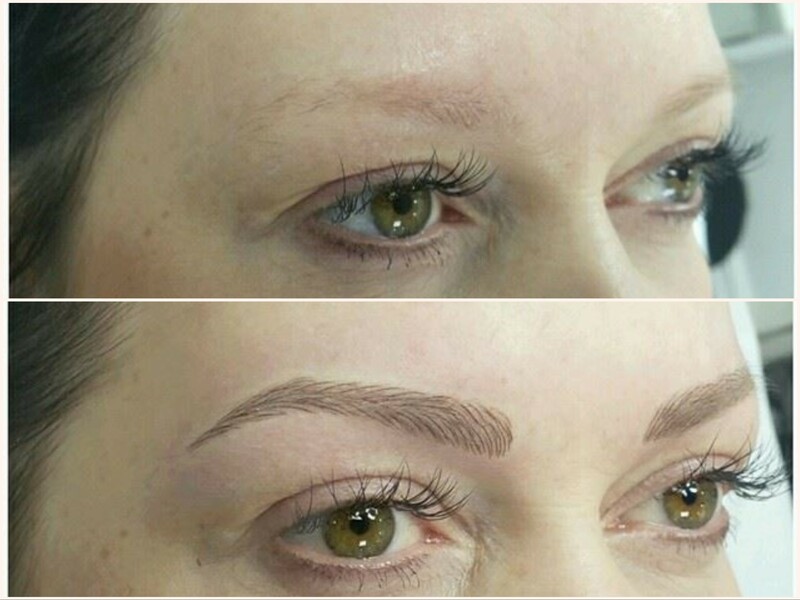 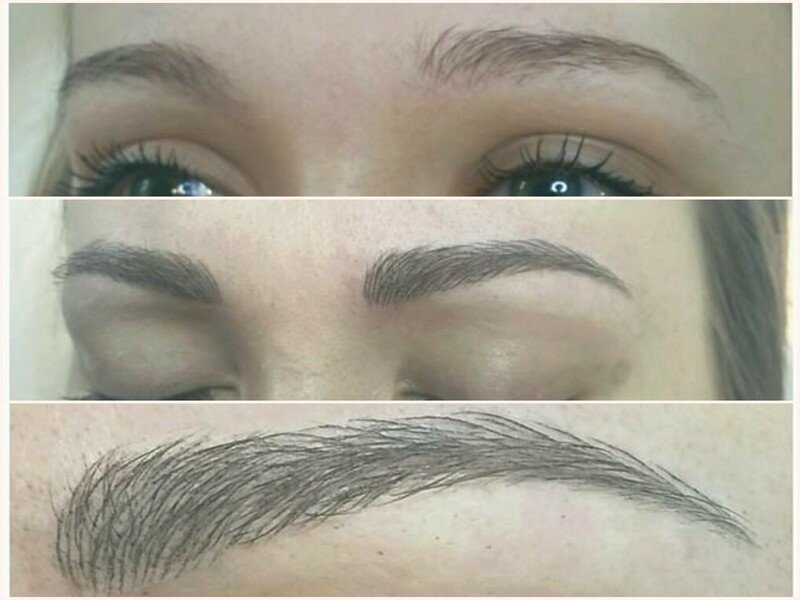 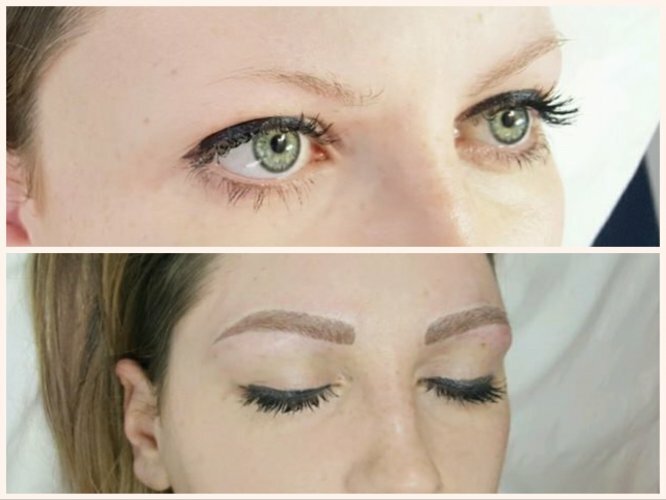 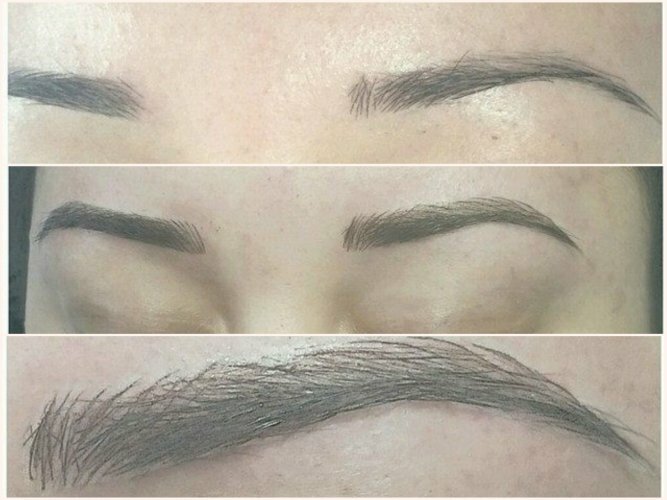 Like all of our procedures, everything is discussed and pencilled in, prior to starting, to ensure that you have total control with the style, colour and shape of your brows. 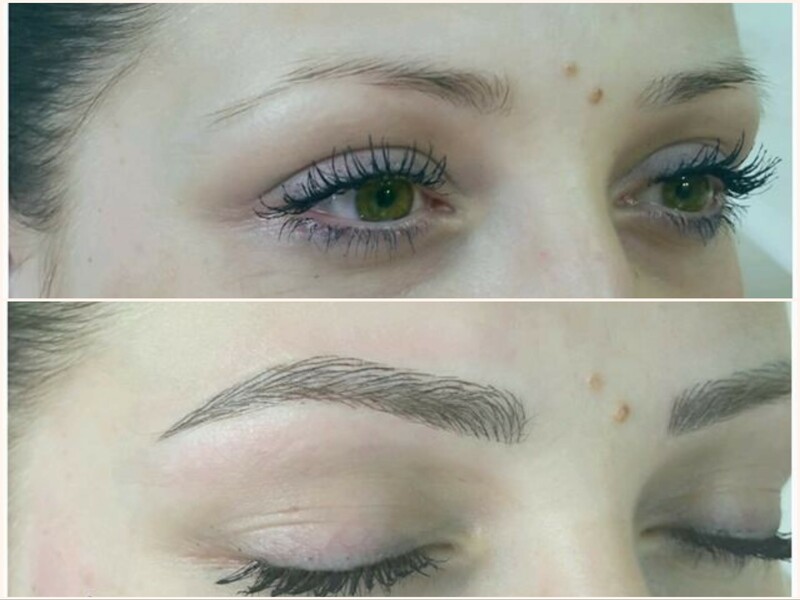 You have the option of whether you want a natural or dramatic result. It is all up to you! 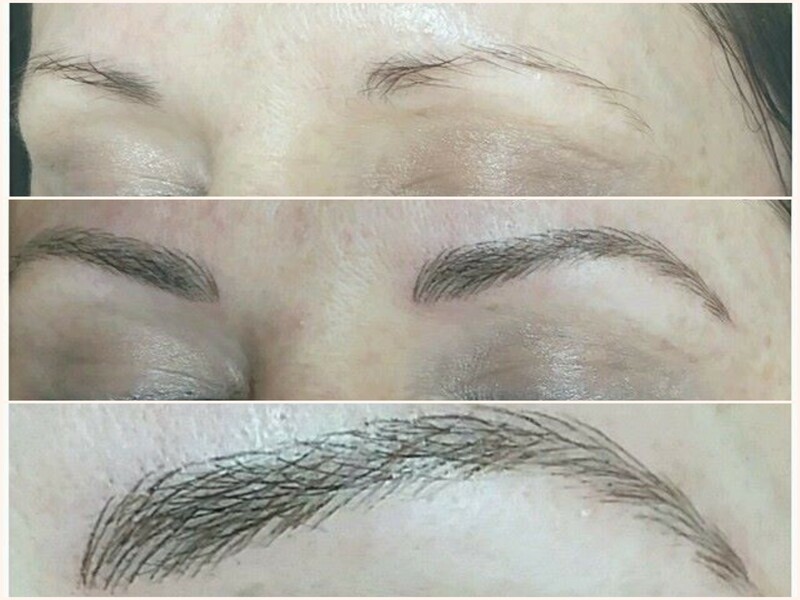 You are in complete control of your treatment. 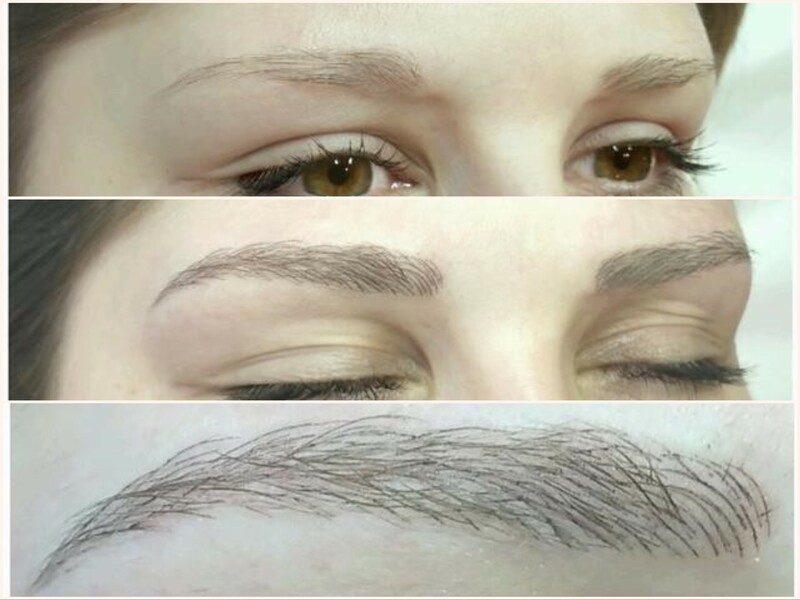 Once the process has been explained and you have agreed to the design, you will be required to fill in consent form and medical questionnaire and we take a copy of your ID as per current legislation. 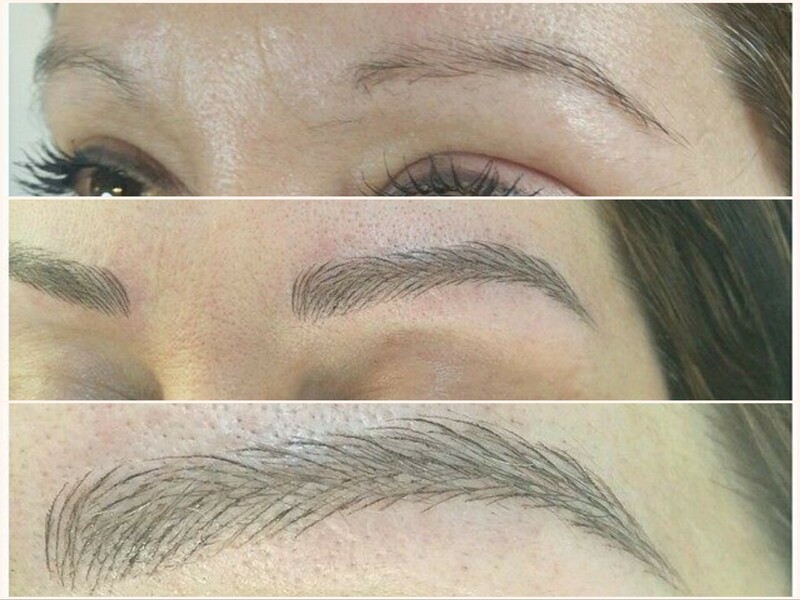 We use top of the line topical anaesthetics to maximise your comfort. Once your new brows are complete you will be given written information on aftercare and the healing process. 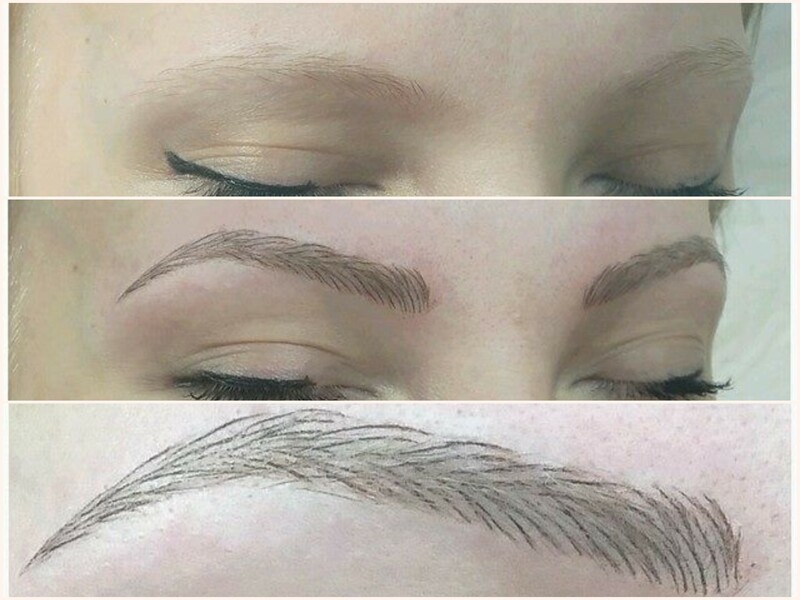 I have great difficulty drawing on my brows. It usually ends up too thin, thick or uneven. 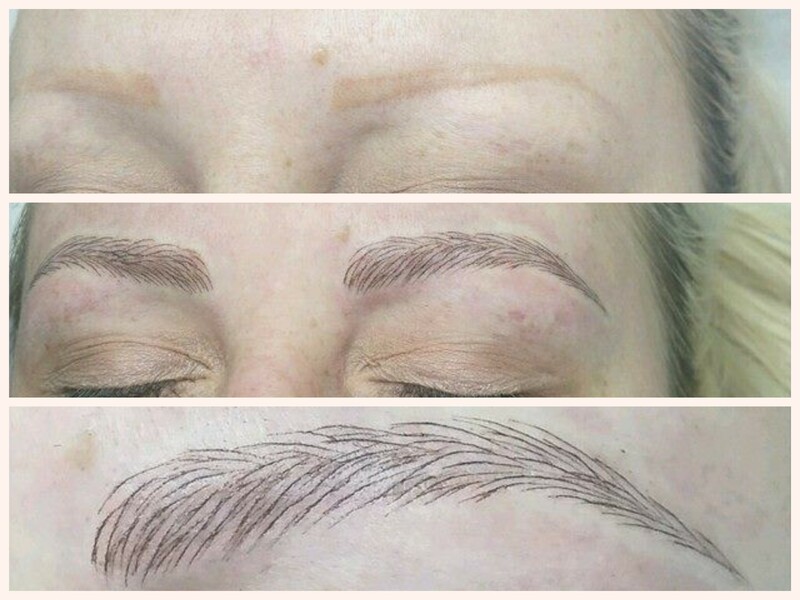 How will microblading look? Microblading and semi-permanent makeup is a 2-3 step process with most clients requiring 2 sessions for optimal results. 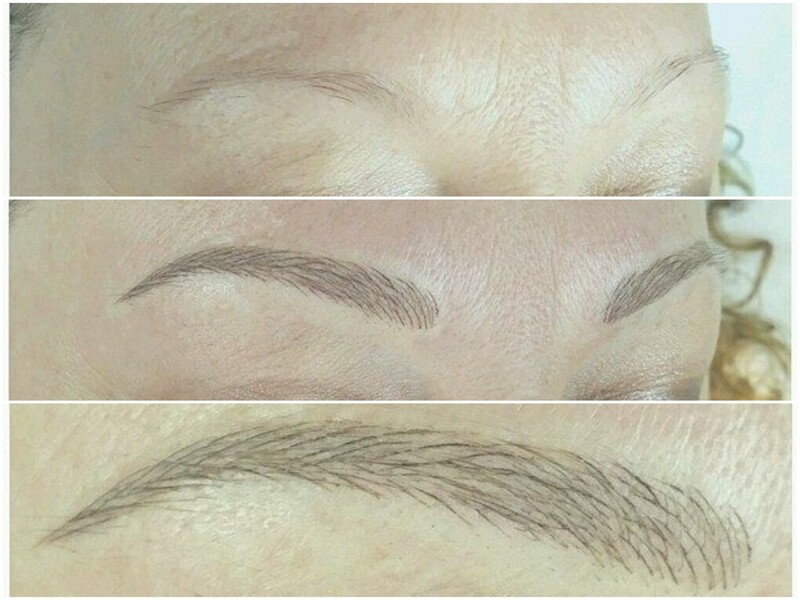 The second application is scheduled 4-8 weeks after the initial procedure. Very little discomfort is experienced during the procedure. 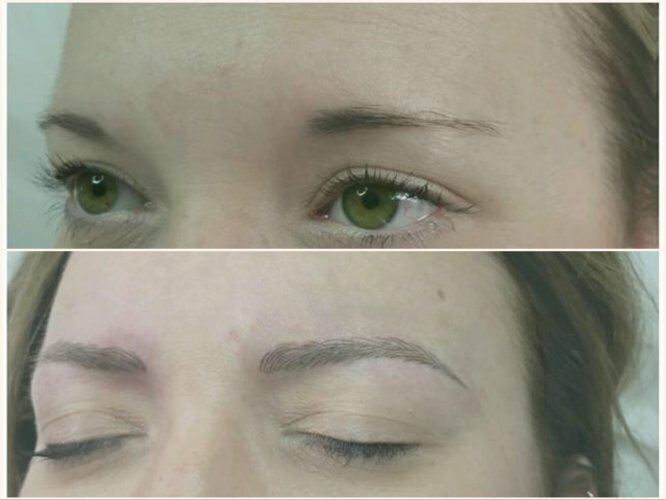 We use topical anaesthetics of a superior grade that are extremely effective . 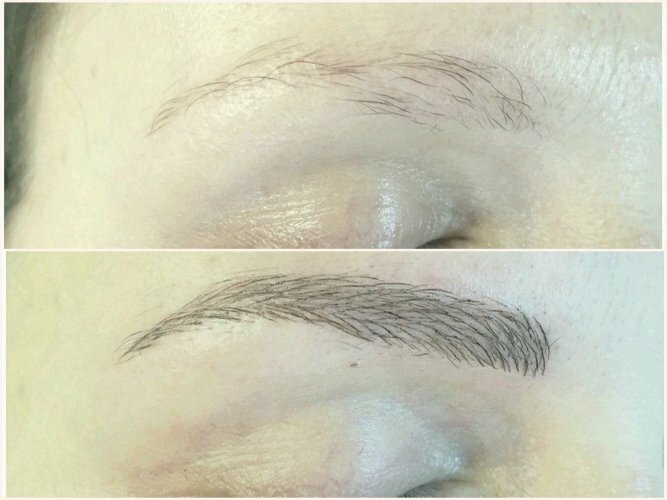 How much do brow treatments cost? 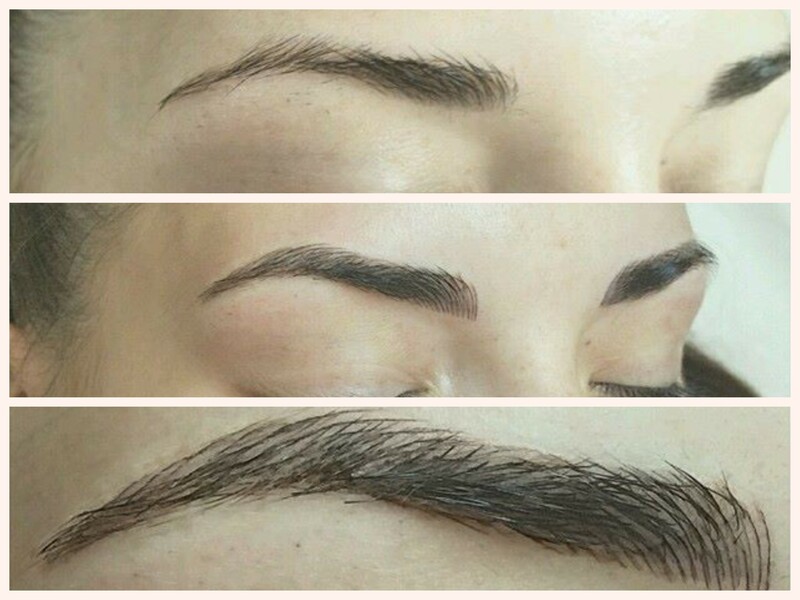 Please click below to check full up to date price list. 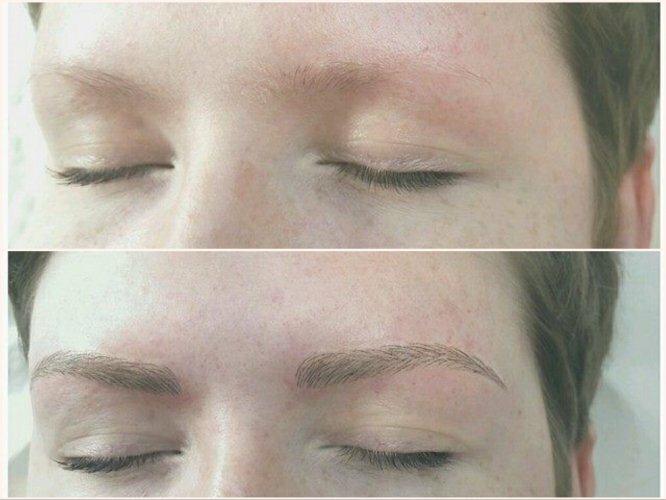 The second session, where needed, is charged at just £50. Corrective procedures are generally more expensive, and are individually priced. 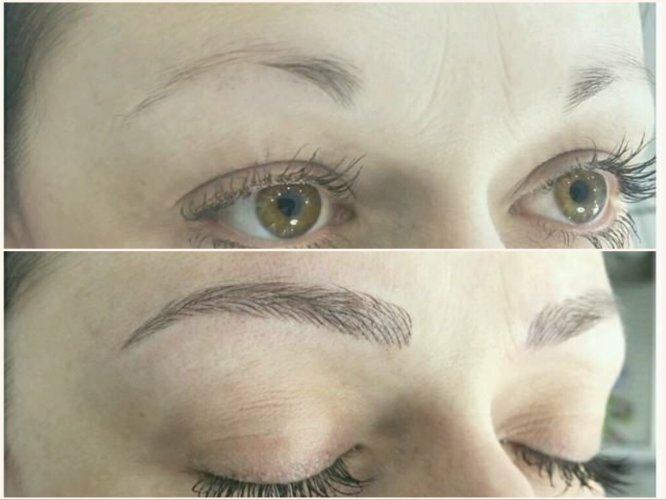 Including the consultation, paperwork, and numbing time, the average length of time for one procedure is approximately 1.5 hours. 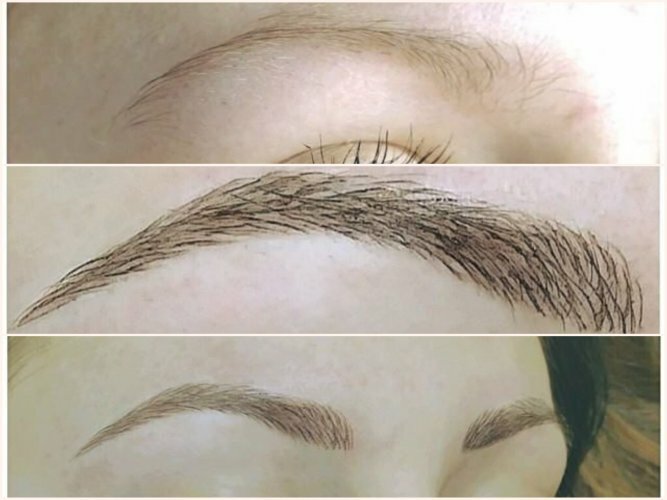 The second application is usually one hour or less. 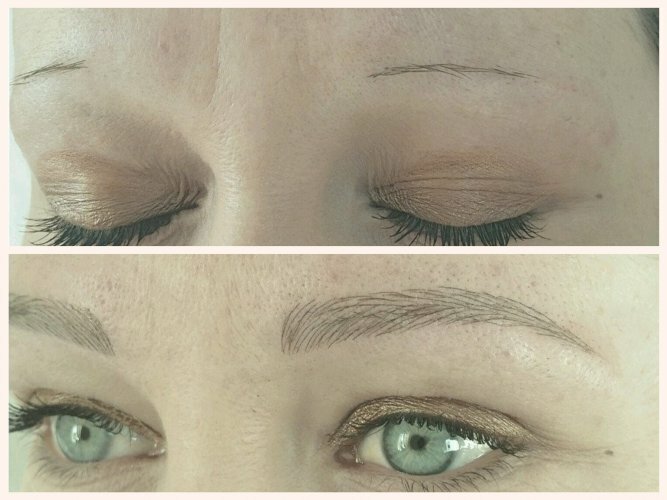 Typically the area around your treatment may be slightly red, but that should be the only after-effect. 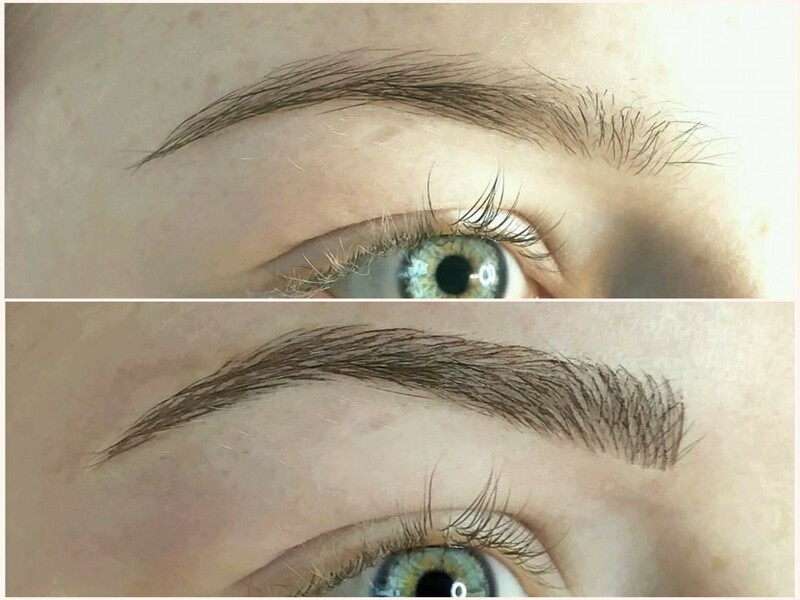 Most people can return to their normal activities immediately. 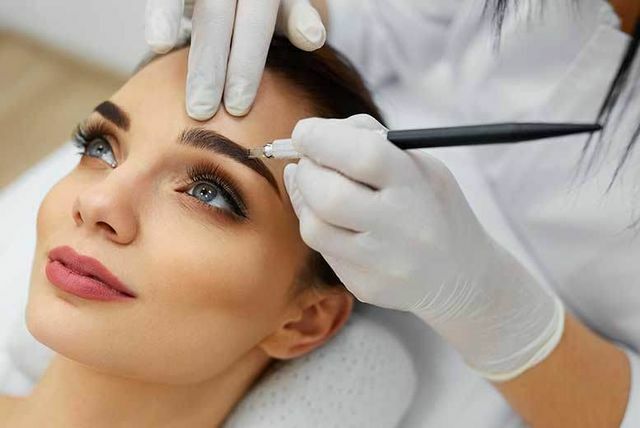 For approximately 7 days following the procedure, you will need to apply a thin film of ointment to the procedure site. 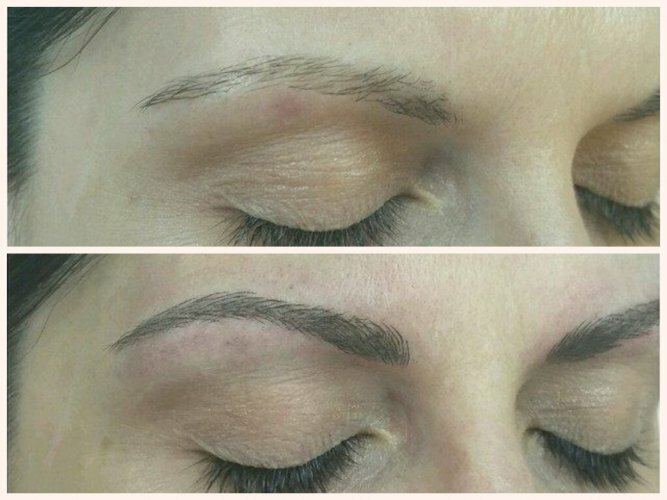 During the healing period, you will notice the colour soften into your skin.